© Reuters Prosecutors are now investigating Salvini, a far-right populist, for the possible illegal detention of migrants on the vessel. Italy’s deputy prime minister has relented over the fate of over 100 refugees and migrants forcibly kept on a docked rescue ship, after being formally placed under investigation for possible illegal detention and kidnapping. The Ubaldo Diciotti has been docked since Monday at the Sicilian port of Catania, initially with 177 migrants on board. Matteo Salvini, who is also the country’s interior minister, had said that no one would be allowed to leave the boat until he received guarantees that other European nations would take most of them in. Following the announcement on Saturday night of the formal investigation, Salvini finally gave permission for the remaining 134 migrants on board of the Diciotti to disembark. The Italian government announced that Albania would take in 20 of them, while Ireland would take 25 migrants. The Italian church said it would take in the rest to “put an end to this dramatic situation and sufferance”, said a spokesman for the Episcopal Conference of Italy. group of 27 children travelling alone to disembark, and on Saturday doctors identified 16 people in need of immediate medical care, who were also allowed to leave the vessel. Two of them had possible symptoms of tuberculosis. However, that left 134 people on board the ship, which is less than 100 metres long. Prosecutors announced on Saturday evening that they were investigating Salvini, a far-right populist, for holding all 177 hostage. Italy had appeared to be in violation of the European convention on human rights, which states that any asylum seeker detained for more than 48 hours should be released and given the opportunity to apply for refugee status. An investigation into the detention of the passengers on the ship was first launched on Wednesday, by Luigi Patronaggio, chief prosecutor for Agrigento, who visited the ship and questioned its passengers. 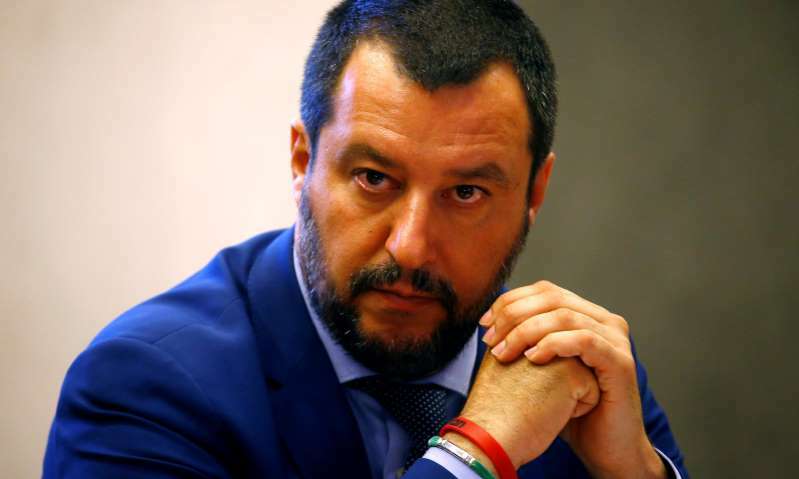 Magistrates traveled to Rome on Friday to question Salvini, members of his staff and at least two high-ranking officials in the ministry of the interior. Prosecutors slowly worked towards the highest levels of the minister’s command structure. At first, the magistrate did not rule out questioning Salvini himself, but after interviews with his staff, prosecutors decided it was not necessary, sources told the Guardian. “I heard prosecutors asked for my details. Here you go. I was born in Milan, March 9 1973, in Milan. I’m ready and proud to be arrested because I’m fighting to defend the Italian border,” Salvini wrote on Facebook as the news emerged about the investigation. The Diciotti crisis began on 15 August, when the vessel rescued 190 people from an overcrowded boat off the Italian island of Lampedusa. Thirteen were evacuated for emergency medical treatment, and after the boat was turned away by Maltese authorities, it was allowed to dock in Sicily. However, Salvini said he would not allow those on board to disembark until he was assured all would “go elsewhere”. The case drew fierce censure abroad, but Salvini hit out against critics in Europe, threatening to suspend the country’s financial contribution to the EU if Brussels did not intervene to redistribute the people on board. The European Union described the threats as unhelpful.